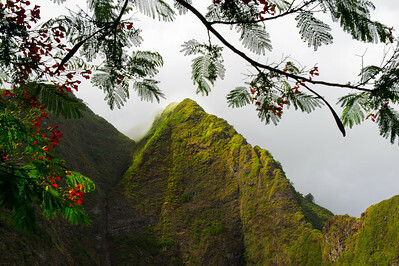 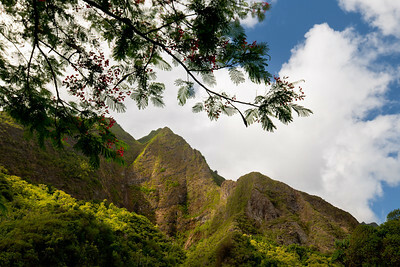 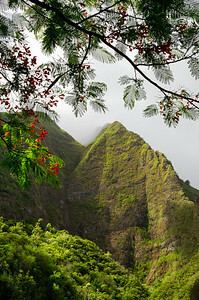 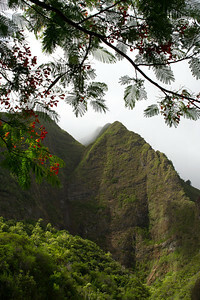 Iao Valley State Park, with flowering Heleconia branches framing the lush valley walls in morning fogr, Maui, Hawaii. 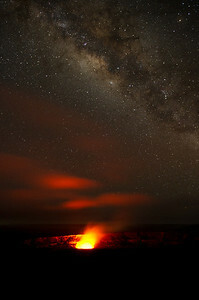 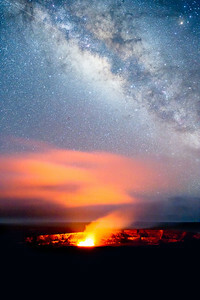 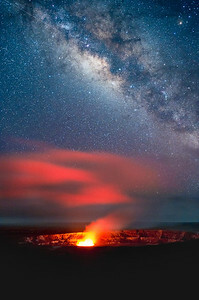 Kilauea with its glowing Halemaumau crater illuminating fog layer brilliant Milky Way with shooting star at upper left. 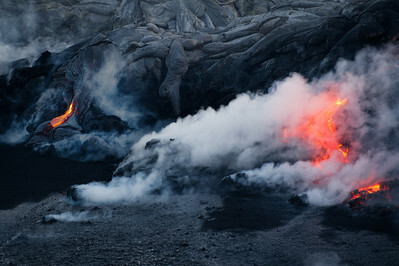 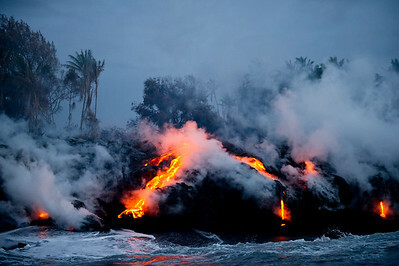 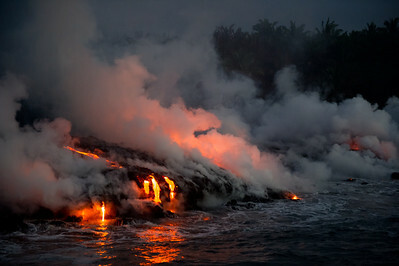 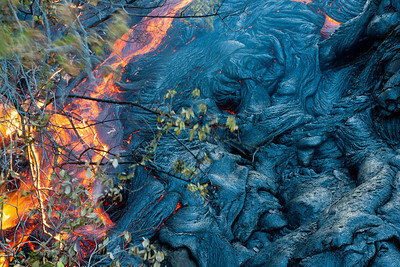 Hawaii Volcanoes National Park, Hawaii. 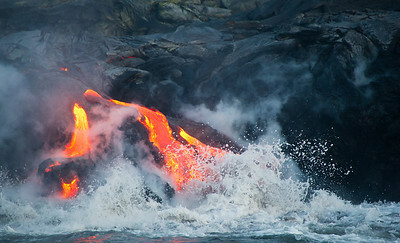 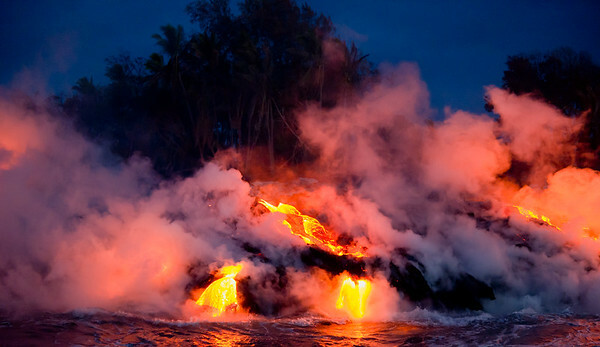 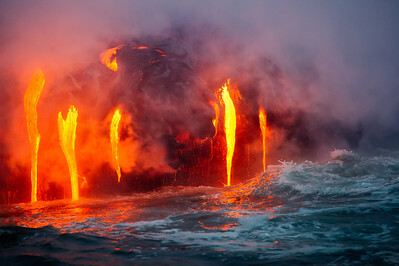 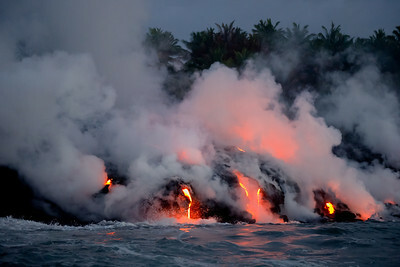 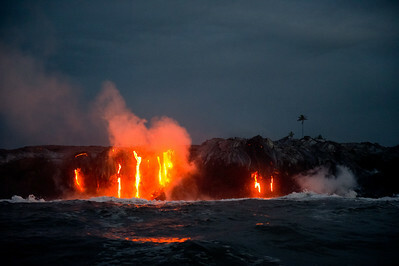 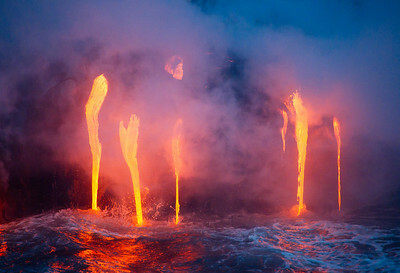 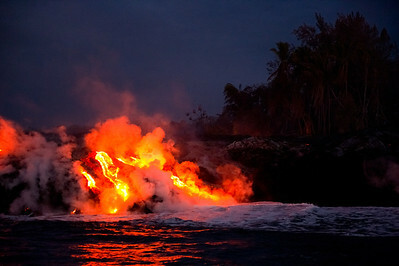 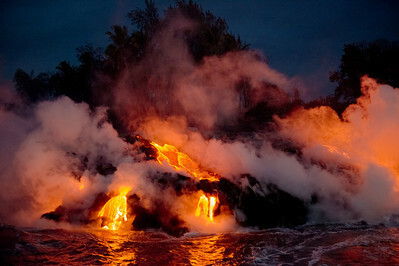 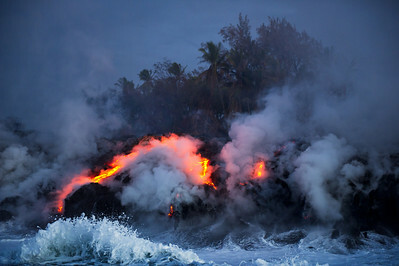 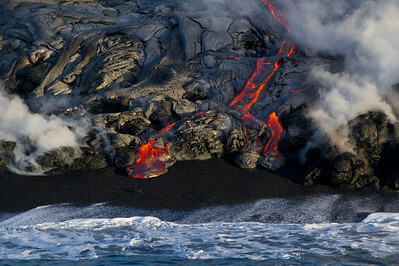 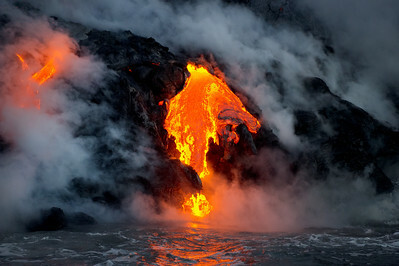 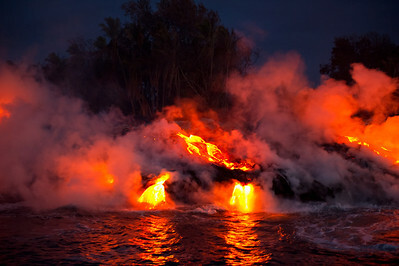 Glowing lava entering the Pacific Ocean causing eruptions of steam as surf collides with molten rock from Hawaii"s Volcanoes National Park, Hawaii, Hawaii. 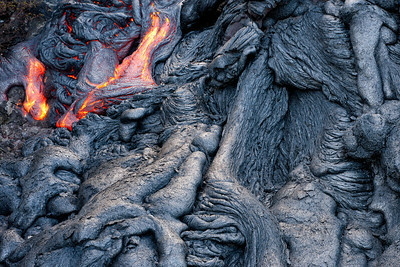 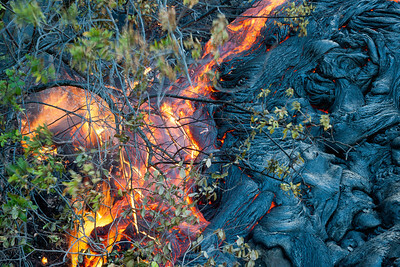 Molten lava streaming across solidified lava from Kilauea in Hawaii's Volcanoes National Park, on Hawaii's Big Island of Hawaii. 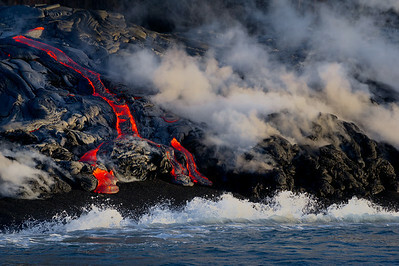 Molten lava streaming across solidified lava from Kilauea from Hawaii's Volcanoes National Park, on Hawaii's Big Island of Hawaii.